How In The World Did This Ford Mustang End Up On Top Of A Roof?! It's ludicrous considering how it all happened. 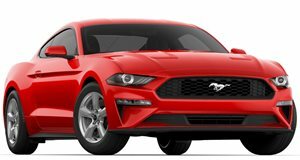 We have seen many Ford Mustangs crash. These crashes have happened on straight line drag strips and public roads. However, this Mustang crash defies all logic. That’s because this particular driver ended up on the roof of a house in Michigan. Police reports state that the car was going around 60 mph on eastbound I-69 on October 26th when the it began to slowly swerve between lanes. The car then left the roadway just west of the M-52 highway, crashed into bushes, trees and a fence before ultimately stopping on top of a house's roof. The reason for all of this chaos wasn’t because of alcohol or narcotics but because of low blood sugar. The driver was treated and taken to Sparrow Hospital and the car was eventually towed off the roof. Considering the circumstance it's lucky no one was injured. But seriously, this crash is just mental and we don't think we'll ever see something so wacky. That being said we've included some other Mustang crash photos here, so let us know if you think this rooftop fiasco beats those out.